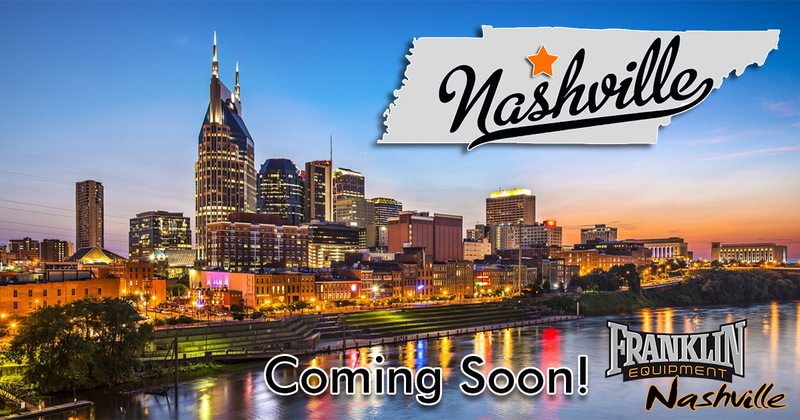 Franklin Equipment is planning to open our newest location in Nashville, TN. This will mark the 9th Franklin Location and the 1st in the state of Tennessee. Our management team and fleet department have been working hard to prepare for this new location and plan to open for business at the beginning of April. Store Developer Barry Miller has been leading this expansion effort and will serve as Store Manager. This location will feature Wacker Neuson construction, compact and light equipment as well as aerial equipment from Skyjack. Nashville is a growing market and Franklin is excited to offer our great customer service and quality equipment to the Music City! Our Nashville location will be located close to downtown just off of 65 at 1510 Fort Negley Blvd.